Creating an online course is a great way to generate a passive income stream while establishing yourself as an expert in your field. If you’re looking to create and sell courses online, you need to follow some best practices to get the most out of the effort you put in. In this post, we’ll take you through a 10-step process of creating a successful online course and share some actionable tips and ideas along the way to get you familiar with best practices. The first step in creating an online course is to select a topic that interests you. If you aren’t particularly interested in the course topic you choose, it will be evident in the final product you create. Design your online course with the intention to generate interest in your students. Focus on transferring actionable knowledge and practical skills. Topics like, improving your graphics skills, knitting sweaters, and learning to speak French in 30 days are good examples of popular online courses. In short, any topic that you’re genuinely interested in, have the necessary skill and knowledge about, and can spend a significant amount of time creating and teaching is a great pick. Creating an online course requires a lot of time and effort which is why you’d want to sell as many of them as possible. You need to find a course idea that has high market demand. So, the second step is to do some research and make sure that enough people are willing to buy your course. You can do this by conducting market research to determine demand for the topic you picked. If you find that there is enough competition in your particular niche, it’s a good indication that more people are interested in learning about that subject. What are people saying about the topic? Are they expressing interest in wanting to learn more about it? Can you offer something better than what is already available in the market? By answering these questions, you’ll be able to find out whether there is enough market demand for the course idea you’ve selected and if you’ll be able to offer something that is better than what is already out there. It’s easy to understand that no one pays for a product or service without knowing exactly how they’ll benefit from it. The same holds true for online courses. Clearly marked out learning outcomes will let prospective students know how they will benefit from purchasing your online course. What new things will your students have learned after completing your course? What new talents and skills will they’ve mastered? How will they be experiencing the same things differently after taking your course? When students know exactly what they’re signing up for, you’ll be more likely to experience fewer refund requests and higher satisfaction levels. Once you’ve crossed drafting learning outcomes off your list, you can proceed to collect material for your online course. This is where many people get distracted and spend most of their time thinking about what to include in the course contents. If you’ve been following along so far, you’ll have market research and learning outcomes on hand that’ll help you gather material for your online course. It’s pretty simple: anything that matches your learning outcomes should be included in your course contents while everything else should be left out. Use the learning outcomes you developed in Step #3 as a checklist to make sure the course material you choose is in line with the topics you intend on covering. After you’ve gathered all the course material required, the next step is to organize it into smaller sections or modules. Each section should include content belonging to the same theme. Next, arrange the contents of each section (i.e. your lectures) into a logical order that defines how students will progress through your course. For example, if you wanted to teach an online course on dropshipping, you would organize your course content to cover topics related to choosing a niche and products and setting up your store before you explain how to find suppliers. When it comes to learning new things, everybody is different. To create an online course that delivers on its promise of learning outcomes, consider integrating different learning principles and teaching styles in your online course. Use a mix of text, audio, video, and practical activities to make your course more effective. Add graphics to improve student engagement. Facilitate student interaction by building an online community or offering private discussion forums. 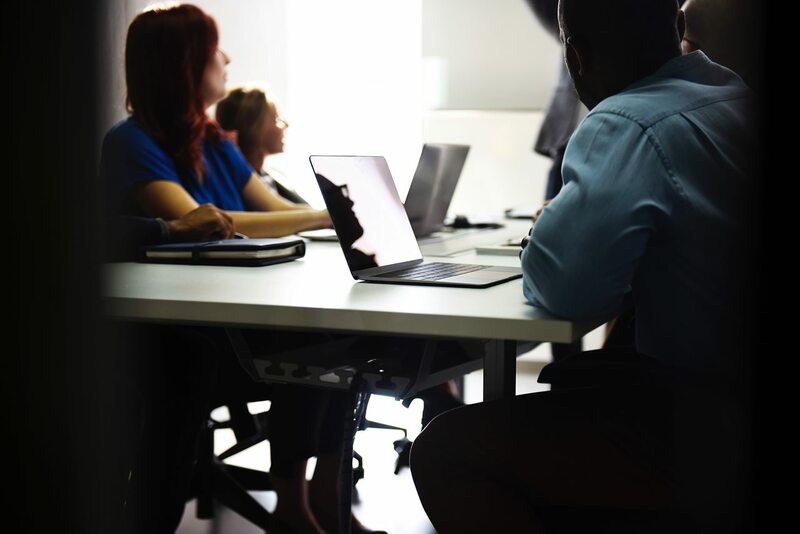 Finding the right balance between different teaching methodologies can help you deliver a learning experience that improves student retention and course completion rates. Now that you have learning outcomes, organized course material, and teaching tools in front of you, you’re ready to start producing your online course. The next step is to grab the camera and begin filming course videos. Video is a powerful learning medium that makes it easy to convey your message and increase student engagement with your course. You can use green screen talking head videos to create visual effects or display presentation slides, images, or graphs in the background while you deliver your lecture. Another popular technique to teach online courses is screencasting. Essentially, you record your computer screen while moving through the various steps allowing students to see every step and learn by example. This method is great for online courses that teach students how to code or use software like Photoshop. You can use tools like iMovie (for Mac) or Camtasia (for Windows) to record, edit, and produce your videos. 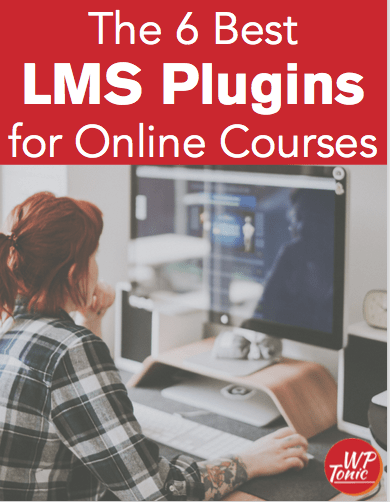 Using a learning management system (LMS) with WordPress like LifterLMS or LearnDash. Through an online course marketplace like Udemy. Signing up with a hosted e-learning platform like Thinkific or Kajabi. The key benefit of going with an LMS solution is that you’ll have complete control over your course and the revenue you generate from sales. Unlike online course marketplaces or hosted e-learning platforms, you won’t have to pay a monthly fee to use the platform’s services. In addition to this, you can add your own branding elements (such as a watermark) to your course videos and training material. Finally, all of the data you collect belongs to you. This includes the names and contact information of your students which you can use to gather feedback or market future courses to. Is your course a lead magnet that you’ll use to capture email addresses of prospective customers? Will you sell your course as a standalone product to generate an income stream? Do you have multiple courses that you’d like to sell in a bundle? Another factor that’ll affect the price of your online course is how much similar courses are selling for. To get an idea of how much to sell your course for, see how much your competitors charge for their course. If you offer better material or cover topics in more detail than your competition, you can even charge higher prices. Once everything is in place, all that’s left to do is launch your online course, promote it, and begin selling. Will you use ads to promote your course? What is your target market? Who are you marketing your course to? Will you offer promotional discounts in the beginning? Should you ask influencers to help you promote your course? Can setting up an affiliate program help you sell more courses? You can use this list of questions to create a digital marketing plan for promoting your course. It’s important to keep in mind that marketing is an ongoing activity and the number of courses you sell will largely depend on your digital marketing efforts. The more you market, the more you’ll sell. Creating an online course is a great way to share your knowledge and generate a passive income stream for yourself. Hopefully, you’re in a good position now to create and sell your own online course. Between learning management systems, online course marketplaces, and hosted e-learning platforms, which option are you leaning towards for selling your course and why? Share your thoughts in the comments section below.